BBMT is an incredible massage place for athletes, specifically focused on athletic injuries with a keen understanding of human anatomy. 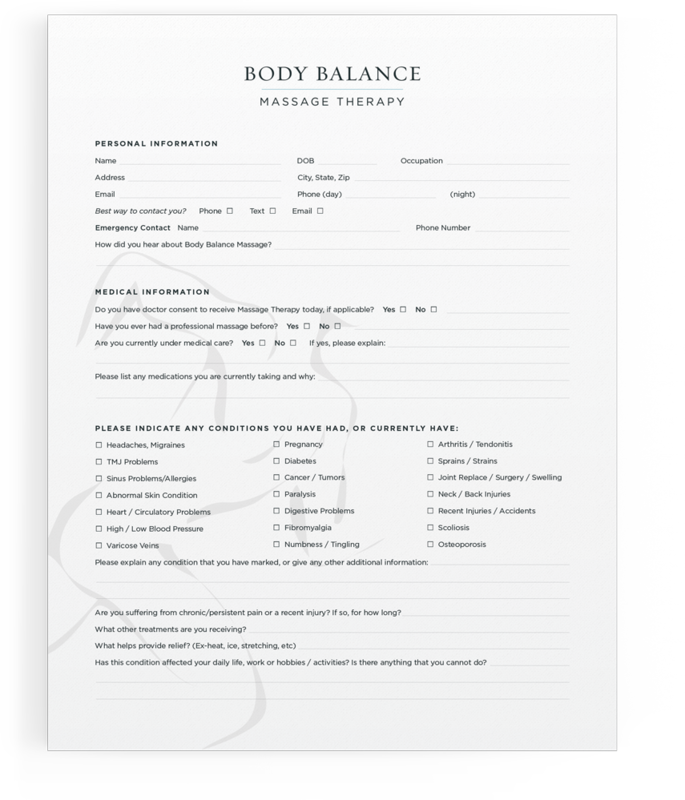 The biggest branding challenge was to make it clear you go to Body Balance for a great massage, but not for a spa experience — you go if you’re an athlete or someone looking for a good rubdown. My client wanted to modernize her brand, make it synonymous with being bold and powerful, and become the go-to name for athletes in pain. In keeping with most massage places, my client knew she wanted to show some form of the human body. I sketched out variations, all of them focused on some form of movement, flexibility, and athleticism. My client loved the runner. We now call the logo “our running man.” I updated all the brand collateral, using the logo in broader applications, and emboldened the color palette with black and deep aqua.